AbeDraws: My attempt at Hyper-realism. 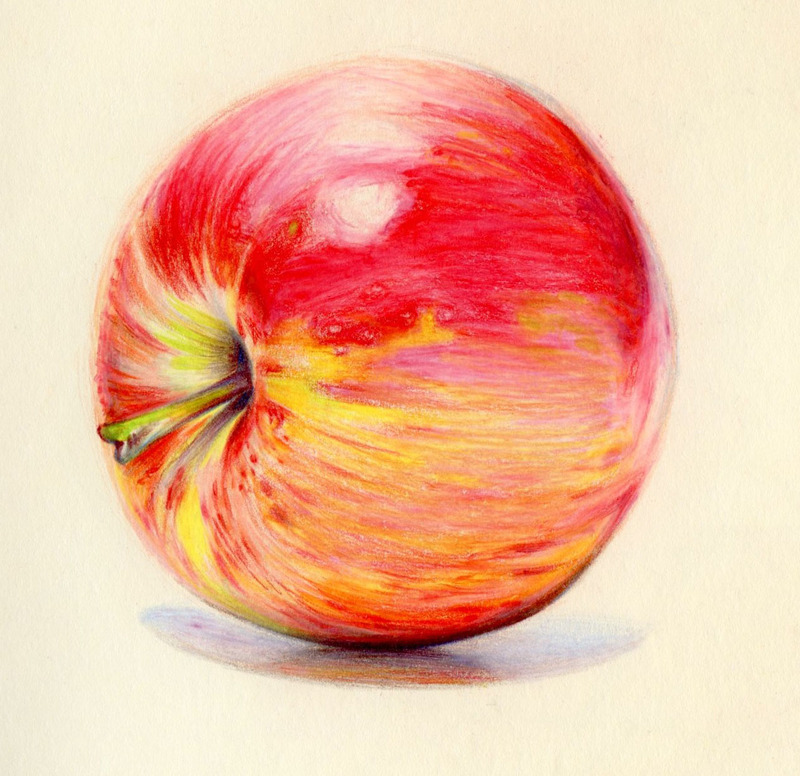 I got a original photograph from google image searching "apple". Surprisingly, you get more Apple logos than actual apples. My apple drawing created using colored pencils . In the end, it isn't perfect. When you really look at it, you can tell that it's been drawn, but I'm trying. Oh well. It was a fun little project. I'll post more as I get more time. This almost makes me want an apple, except I don't really like apples. Hey! That makes your drawing more impressive - that I want an apple when I don't even like them. 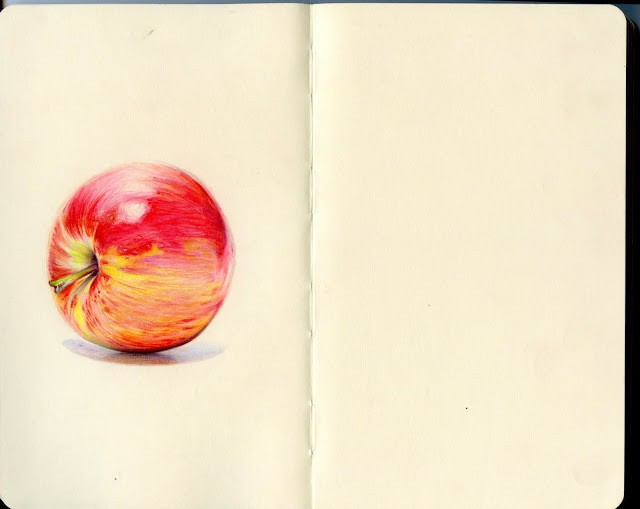 An apple a day keeps the something something..